I found this very easy breakfast or snack idea and I loved it! 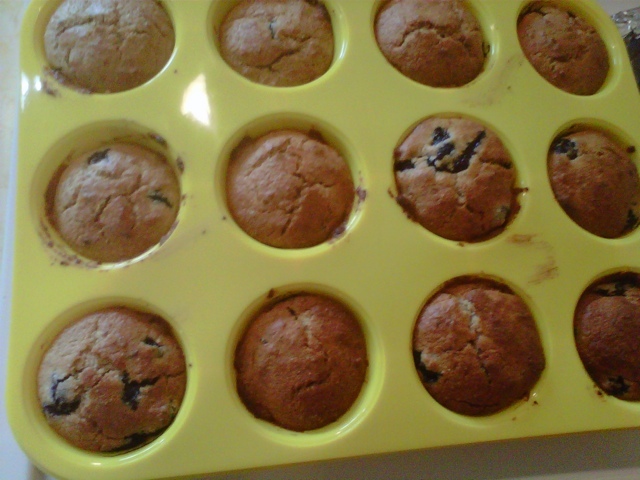 All you need is a silicone cupcake baking sheet, slices of low sodium han and eggs. Place each slice of ham on a cupcake mold and make sure it sits just like a basket. Then crack one egg in each cup. Bake at 350 for about 15-20 minutes if you want the egg completely cooked. If not try for less to get a softer poached egg consistency. I was so happy to find this recipe online. I’m not a huge fan of pancakes but once in a while I do crave some. 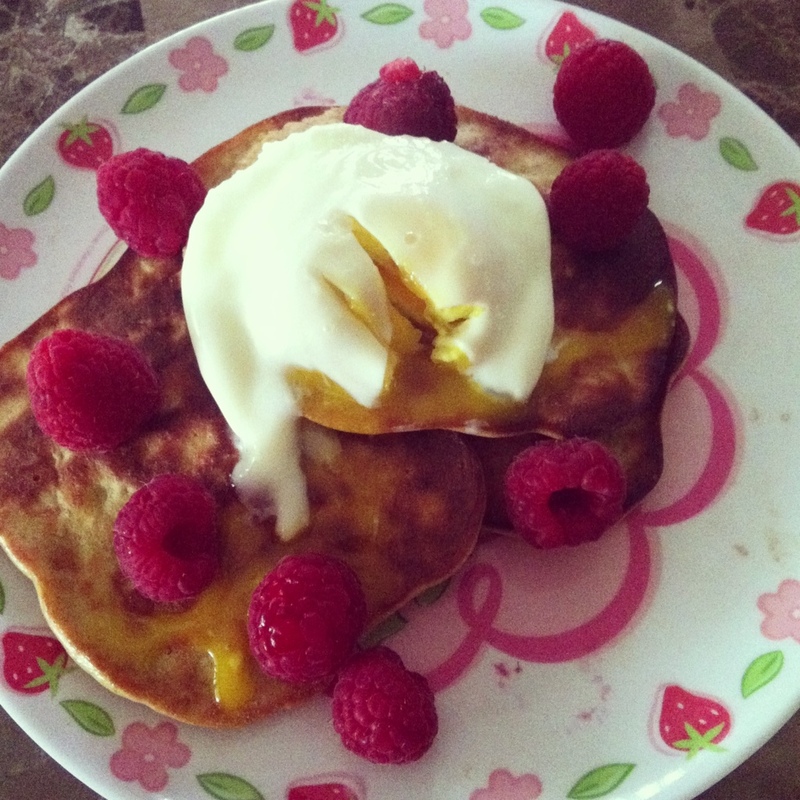 Now you can have guilt-free pancakes! The best thing is that you only need three ingredients! For a one person serving use one banana and one egg with a tablespoon of almond butter. For more pancakes, use more eggs and bananas with a really big tablespoon of almond butter. Now you only need a good syrup. Go natural and have your pancakes with honey or real Maple syrup like I have here. None of that fake sugar and high fructose syrup!!! 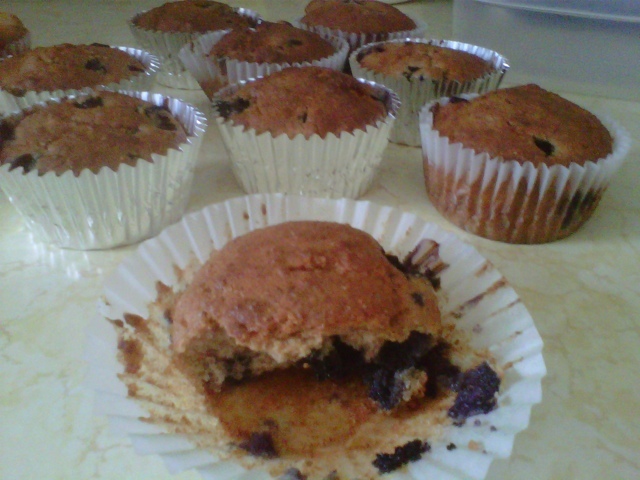 I have been making them with same ingredients but adding one scoop of whey protein. 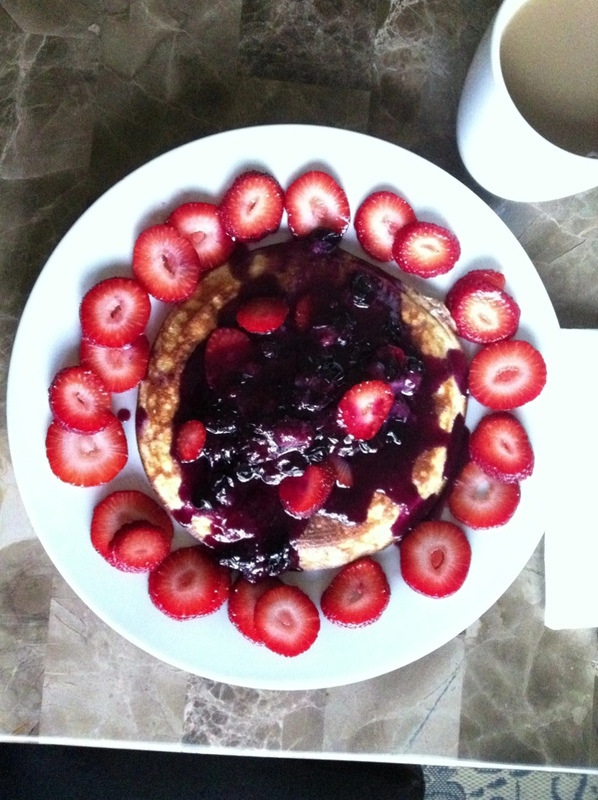 I also poach one soft egg on top with fruit and leave out the syrup…. Just like this! Mix all in a bowl and transfer to greased pan and allow it to cook fully before flipping and cooking other side. For more adjust amount of ingredients. I’m not eating much processed carbs lately. But I do love baking, so once in a while I make breads or muffins to satisfy a little craving and besides, the hubby loves them too! I found this mix at the organic section of Publix. It is a Gluten free mix. Whisk together Pamela’s Baking & Pancake Mix, cinnamon, salt, and nutmeg. In a separate bowl, beat together eggs, apple sauce, and splenda for one minute on medium. Stir in vanilla. Stir wet ingredients into dry ingredients to form a batter. Fold in grated zucchini and carrots. NOTE: Baked zucchini loaf will be moist. You can lessen moisture by squeezing grated zucchini in paper towels to absorb some of the water before mixing into the batter. Turn into greased loaf pan and bake in a preheated 350° oven for 55 to 60 minutes or until a toothpick inserted in the center comes out clean. Let loaf cool in the pan for 5 minutes before removing to cool on a wire rack. Found these at local groceries store. Nothing wrong with having a healthy treat once in a while. Since milk does the body good I make sure to have my daily dose. I have gotten in the habit of buying organic milk only because I’m the only one that drinks it at home and it lasts a lot longer than regular milk. I looooove this milk. I usually have it at night in my after workout protein shake. 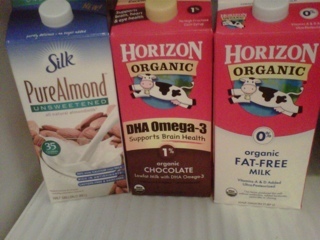 The chocolate milk is my favorite and because of that I only buy it from time to time. As sometimes it can be difficult for me to just have an 8oz glass. Normally I drink the chocolate milk after a cardio session. It would just be like drinking a sports drink. So instead of having some Gatorade you grab some chocolate milk. When we do mostly running at boot camp I make my protein shake with 4oz of chocolate milk instead of regular to change things up. The almond milk I just tried recently. It’s very low in calories and carbs but also in protein. I thought to have it from time to time as part of a snack. I have to be honest, I think this is an acquired taste and I won’t be buying this milk too often. The brand I bought says that it is unsweetened and maybe there’s a significant difference in taste, but I did not like this milk by itself. I had the idea to take it in to work and have it with my coffee. That worked for me! It gives the coffee some flavor without being overpowering. Which other one have you tried? ?